London is prone to flooding from five sources – tidal, fluvial (from rivers and tributaries), surface (from rainfall), sewer and groundwater flooding. Climate change will bring wetter winters and more frequent heavy downpours, as well as rising sea levels and higher tidal surges. Fifteen per cent of London is in flood plain, protected by flood defences. As well as people’s homes, within this area lies much of the infrastructure we rely upon day to day and to assist us in emergency, including 49 railway stations, 75 underground stations and 10 hospitals. Much of this area is well defended, but the western end of the Thames and many of the tributaries to the Thames have low standards of protection. These are also the areas where we are seeing pressure to change both land uses, from industrial to residential and to increase the density of development. Undertaking Strategic or Site Flood Risk Assessments is vital for Local Authorities and developments to apply a risk-based approach to development plans and implement actions. But flood defences can only protect London from fluvial and tidal flood risk. The city is still vulnerable to surface water and sewer flooding from storm and heavy rainfall events. This is due to the large areas of impermeable surfacing (such as roads, roofs and pavements) and the legacy of Victorian drainage systems that aren’t equipped to cope. Events of this type are likely to increase in future, with the climate projections predicting more frequent intense rainfall. Adaptation such as green space, green roofs, permeable surfacing, sustainable drainage systems, and resistant and resilient development, are essential for reducing London’s flood risk. We have worked with the Environment Agency and other partners to produce the Thames Estuary 2100 (TE2100) project, a flexible tidal flood risk management solution for our capital. This approach to managing climate associated flood risk is now being used as a model for learning worldwide. We continue to work with an integrated approach to reducing flood risk, from reducing surface water flood risk through urban greening and sustainable drainage, to supporting Thames Water in ensuring that sufficient sewerage capacity is built into new development. We’re also working with the Greater London Authority and Environment Agency to look at how we can protect vulnerable communities. You can identify if your home is at risk of tidal or fluvial flooding at The Environment Agency’s website. 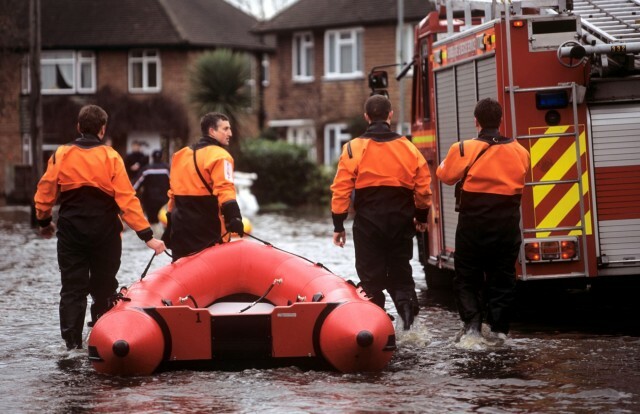 The Environment Agency also provides a free Flood Warning service, for those who live in areas of risk.